I’ll use this space to keep you updated on some of the fun of this journey. Looking through some data tonight, and Rob Gronkowski’s 2011 is worth a shoutout. 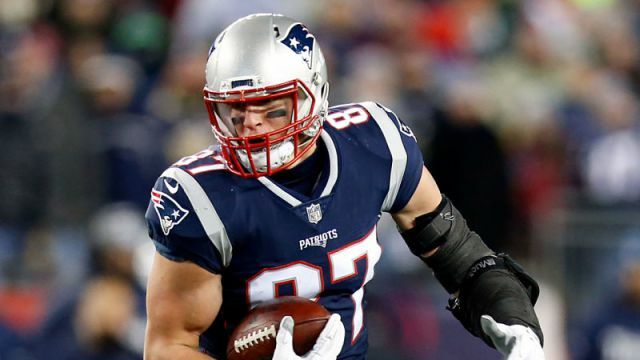 Rob Gronkowski scored 324.7 points in 2011, with 90 receptions, 1327 yards and 17 touchdowns. He was dominant throughout the season, fininshing as the top TE 6 weeks out of the year, and a top 3 TE scoring week 9 times. By way of reference, since 2008, Jason Witten is the next highest top TE weeks with 5 in 2010. In 2017, no TE had more than 1 top TE week, and the last time a TE had more than 2 top TE weeks, was Jordan Reed in 2015. Jimmy Graham finished second in TE scoring in 2011, with 296 points. This finish ranks third since 2008, finishing only behind Gronkowski in 2011 and Graham’s 2013 (303.5 points). Gronkowski’s 2011 was more than 2 PPG better than Graham’s season. While The Analytics of Dynasty is a primarily a dynasty book, there are other broader takeaways from the data. This is a good example, where paying up for a TE in DFS has been no guarantee the past two years.